When you play at online casinos, you have to be sure that you will have convenient payment options to rely on when making deposits and withdrawals. For New Zealand players, there is an exclusive payment solution which allows an extremely easy and safe way to make payments at virtual casinos. POLi is a banking solution which was launched in 2006 by the company Centricom Pty Ltd Trading. Using POLi at interactive casinos will spare players a lot of inconveniences and it is a payment service that you can often find as an option accepted at various trustworthy gaming sites. When you decide to use this payment solution for your casino balance, you will have an extremely easy time uploading funds or cashing out your winnings. The company strives to ensure hassle-free payments to its clients which is why you can use the service on any type of device. This also gives you the freedom to top up your gaming account even when you are on the go. If you have decided to boost your gaming balance, using POLi, you will be able to do it in an extremely quick way. This is not only because of the speed of the transaction process but because you will not need to provide an abundance of information in order to complete your deposits. On the contrary, you will simply need to use your bank account in order to be able to transfer money to the casino via POLi. The main role of the service is to act as a mediator between your bank account and the online casino where you wish to play for real money. Since you are not actually providing any personal information or bank details when you are making payments via POLi, it ensures your safety as well the one of your money. Before you start using POLi at virtual casinos, however, you must make sure that your bank supports the service. You can check the banking institutions that work with POLi on the official website of the service. When you head to the Cashier, you can pick POLi from the deposit options listed by the casino. After entering the amount you would like to upload to your balance, you will have to choose your bank which will prompt you to log into your online banking account. You will not need to fill in any of the payment information since POLi will complete this task for you. The only thing you need to do is to confirm the transaction and you will be ready to go. You can be sure, however, that your personal details are properly protected since POLi will not save them, neither will it share them with the online casino. 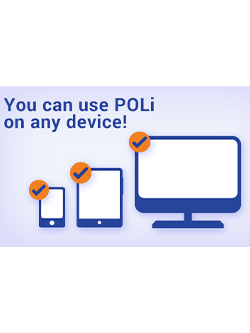 Not only is POLi extremely easy to use but it can also be used on your computer, tablet or smartphone. This is extremely convenient for players who are making real-money bets on the go and want to boost their casino balance. As long as you see the POLi icon on the website, you can simply tap it and follow the same basic steps explained above. If you are simply using POLi for your deposit, you will not have to waste any time with opening an account on the company’s website. This will spare you time and the inconvenience of providing your personal details in order to register. 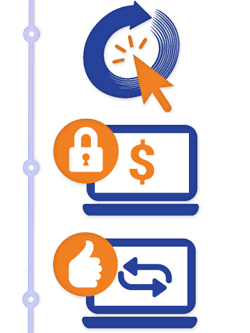 POLi is also providing the option for merchants to use POLi links so that they can allow their customers to make an easy payments via the service. The merchant, which can be a virtual casino, will instantly receive a receipt for your transaction via POLi and you will be able to see your money in your gaming account right away. In order to be sure whether POLi is the right banking option for your casino endeavors, you can take a look at the advantages and disadvantages you will encounter when utilizing the payment method. Using POLi is extremely easy and you will have no issue using it at the virtual casino of your choice. The great thing about this payment solution is that it eliminates the need for providing sensitive information such as card details. All that you will need to enter in order to complete the payment process via POLi will be your online banking username and password. Despite the fact that you will have to log into your online banking account, you can be sure that POLi will protect your details and will not expose them to any third party. This makes the payment service one of the safest ways to manage your gaming funds at interactive casinos. What further contributes to the safety of POLi is the fact that the service works only with major banks in New Zealand. This means that it does not compromise when it comes to the security of its clients. Thanks to POLi, players will be able to top up their gaming balances instantly. This is a great advantage for those who do not like to waste time when it comes to online gaming. In addition to its speed, POLi is extremely convenient for New Zealand players as they often have a restricted number of available casino payment options. Another advantageous point of POLi is that, usually, virtual casinos do not charge any fees for using the service for casino deposits. This is great news for every player as there are some payment solutions which may cost them quite the additional charges. Despite the many positive features of this banking solution, there are certain disadvantages you can encounter. The first downside is that the service is currently available only in New Zealand which means that there are many players who will not be able to make use of POLi. When managing one’s gaming balance, the best scenario is to have one reliable option for both your deposits and withdrawals. Unfortunately, players will not be able to use POLi for their withdrawals which means that they will have to look for alternative payment methods. It is possible, in some cases, to withdraw your casino winnings via POLi but the process is a bit more complicated. You will have to open an account and the service usually allows its customers to register only if they are having a business overseas or they opt to register as a non-profit organization. They will, however, be charged a certain fee if they use POLi for their casino withdrawals. Even though POLi does work with some of the biggest banks in New Zealand, that certainly does not mean that all of the banking institutions within these two countries are included in the supported banks. This means that some players will not be able to use POLi at virtual casinos since their banking facility may not support the payment service. If you compare the advantages and disadvantages of POLi, however, you will see that it is some of the easiest to use, safe and fast payment methods that many casino devotees can utilize. As it was stated earlier, one of the best qualities of using this payment solution for deposit at online casinos is that you will not have to pay any surcharges. This is a wonderful advantage that the service provides to its customers and it can definitely make one’s casino funding more budget-friendly. Registering at POLi is free and the fess which you will have to pay for the maintenance of your account will be very inexpensive. Just as it was mentioned earlier, POLi is great for both customers and merchants. If you decide to open an account and receive payments via this service, you will have to pay some fees which, however, are very reasonable. If you, for instance, compare the surcharges imposed by credit cards, you can actually see that using POLi will save you some money. You will have to pay a fee of 1% for transactions and the maximum that you may be charged is $3. The monthly fee is set at $10 or it can be a sum of your transaction fees for the month. If you apply the 1% fee to a transaction of $20, you will be charged only $0.20 which will otherwise cost you a surcharge of $0.49 if you are using a credit card. This saves you 59% and the bigger the transaction is, the higher the amount you will save will be. It should also be noted that the monthly fees that account holders pay at POLi contribute for charities or community and public organizations. In addition to the security that POLi provides, the payment option also boasts a great speed of transactions. This is very important when casino players want to bet on their favorite casino games instantly. The fact that you do not need to open an account or provide any personal information when using POLi also contributes to the speed of deposits. Since you simply need to log into your online banking profile, you will only need to type the username and password you use for your bank account. You will not have to enter any transaction information since POLi does that for you. The only thing you are required to do in order to make the deposit is to simply confirm the transaction. The simplicity of this method and the fact that it directly uses your online banking account to boost your casino balance ensure instant transactions. If you have an account at POLi and you wish to withdraw your casino winnings, you will have to wait a little longer to receive your money. This is due to the fact that it usually takes up to 48 hours for some online casinos to process players’ withdrawal requests. However, after your cashout request is approved by the casino, you will receive your money instantly. Since many virtual casinos offer their members the chance to play on mobile devices, as well, this means that payments should also be done easily on the go. The great thing about virtual casinos that accept payments via POLi is the fact that players will be able to use this solution even when they are playing on their phones or tablets. In order to make the payments of interactive players easier, POLi allows making fast and secure transactions on every type of device. Whether you are on your laptop or computer, smartphone or tablet, as long as you see the POLi logo, you can be sure that you will be able to top up your casino balance instantly. Whenever you head to the Cashier page on your smart device, you can simply tap on POLi when choosing the deposit method. The rest of the payment process is very easy as it resembles the deposits made on desktop devices. Yet again, you will only need to log into your online banking account and confirm the transaction. You may be disappointed that POLi does not offer a dedicated mobile app. This being said, you do not really need to install any additional software when making deposits via POLi on mobile devices. This is great for players who do not have extra storage space on their devices. On top of that, the payment solution is so simple and even if you are using the browser app of your device, you can be sure that the payments will be properly protected and you will make instant deposits. If you want to utilize the service for your casino withdrawals, you will also have no issue using the browser app on your smartphone or tablet. The fact that POLi can help you to make casino payments without installing an app, means that Android, iOS and Windows Phone users can all easily use the method for managing their bankroll on the go. For those who are anticipating their casino adventures online, it is important to know that they can not only make fast deposits, but they can also be safe while doing so. For those who are using POLi, there is no need to worry as this is one of the safest ways to boost one’s gaming balance. Since POLi is a proxy payment method, it adds an additional layer of security when you are using it at online casinos. It eliminates the need for providing personal information or credit/debit card details. This allows players to remain anonymous while still being able to use their personal bank account to upload funds at their preferred gaming website. Even though casino members are asked to log into their online banking account during the payment process, the information that they provide is not saved at POLi nor it is shared with a third party. This ensures that no one will be able to see your user ID or password. What is more, POLi utilizes the latest protection technology when handling the data that its customers are sharing. Since some players might have an account at POLi, this would mean that they have shared some personal information with the website upon registering. This, however, is no issue since POLi does make sure to properly store and protect the data that leaves and enters the website. Whenever you are initiating a deposit or a withdrawal via POLi at a virtual casino, the transactions are protected with an SSL encryption. This is a technology which is usually used by major banking institutions and it guarantees that POLi is also taking its customers’ security seriously. While there is nothing complicated about the payment process carried out via POLi, virtual casino players still might have some questions about the service. This is why we have listed some of the most common questions that users might have about transactions via POLi and we have answered them thoroughly. Who Can Utilize POLi at Online Casinos? This payment solution is available to players who have an account at one of the banking institutions that work with POLi. This applies only to customers who live in New Zealand and have made sure that their banking institution is offering the “One-Off Payment” service. Depending on your bank, this feature might have a different name. If you want to check whether your bank is among the supported New Zealand banking institutions, you can head to the official website of POLi and take a look at the list of the banks it works with. Is it Necessary to Open an Account at POLi? If you want to simply top up your casino balance, you do not need to open an account at POLi. The best thing about the service is the fact that it does not require any registration which means that you will not share any personal details or sensitive information before you can make a deposit to your preferred online casino. Why Should I Choose POLi Over a Credit Card? POLi is a wonderful solution for players who do not own a credit card or simply do not feel comfortable to expose their card details to the virtual casino where they play. On top of that, it is extremely easy to use the service for your casino deposits. Once you select POLi as your preferred payment option and you log into your online banking account, all the transaction information will be automatically filled out by POLi. Are There Any Hidden Surcharges for Using POLi? No. The service of POLi is absolutely free of additional charges when you make deposits at online casinos and your banking institution will not charge you any fees as well. If you decide to open an account at POLi, you will have to pay fees which, however, will be very reasonable. Are There Any Technical Requirements to Use POLi? Yes. The browser that you are using should be Internet Explorer 8 or newer version, Google Chrome, Mozilla Firefox 12 or newer version or Apple Safari 5 or above. The operating system of your device must be Windows Vista, Windows 7, Windows 8, Windows Server 2003 & Windows Server 2008, MAC OS, iOS or Android. It is possible, however, the operating system of your device to not be listed and still to be able to use POLi.